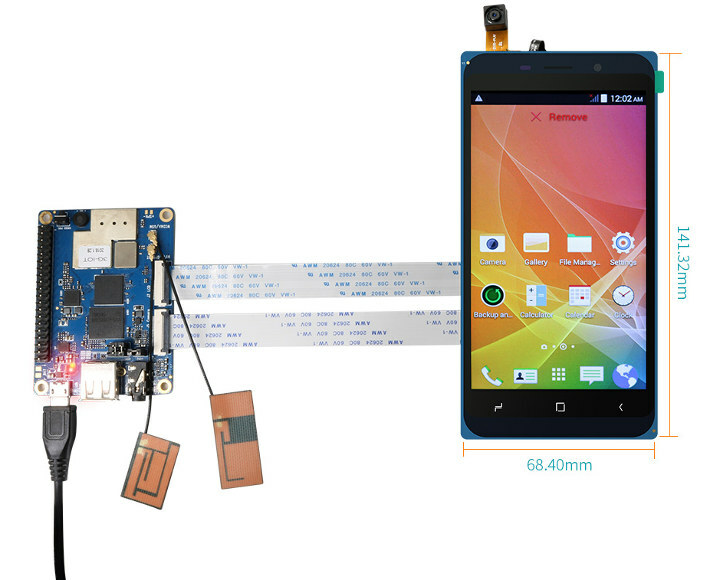 Earlier this year, Shenzhen Xunlong introduced two new Orange Pi cellular IoT boards running Android – but no Linux distribution just yet – with Orange Pi 3G-IoT and Orange Pi 4G-IoT boards, with LTE bands suitable for Asia and most part of Europe, but not the US. 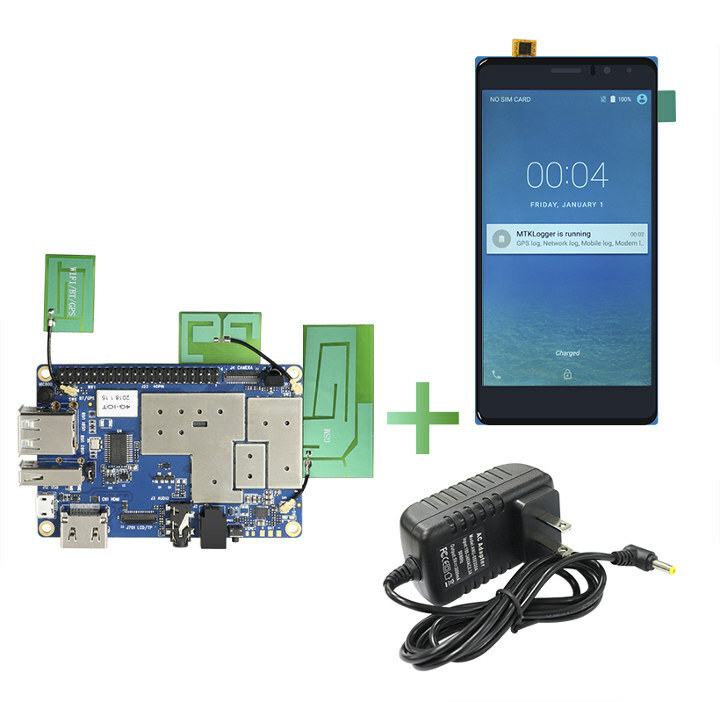 But boards are quite cheap, the 4G-IoT model recently got Android 8.1 Oreo support, if you’d like a display with the board, you can now buy various kits with touchscreen display and in some sets a power supply as well for $34.80 and up plus shipping, or the displays only for $14.80 and up. Orange Pi 3G-IoT boards will ship with Android 4.4, while Orange Pi 4G-IoT board are apparently pre-loaded with Android 6.0, despite the Android 8.1 SDK being available. The development boards should offer more flexibility than 4G phones, but for reference, you can find several 4G LTE Android smartphones for under $50 on Aliexpress. Just make sure to check the bands, and in some case double-check the phone can indeed support 4G connectivity, since some sellers are doing keyword stuffing adding “4G” even for 3G phones. Would love to play with the 4g set, but knowing I could also get some wiko phone for just 24$ incl. some prepay funds… is it worth it? Contrary to OrangePi boards, i guess Wiko phone are totally closed: locked bootloader won’t allow you to install OS of your choice nor (easily) get root access. If you want an hackable device, i think OrangePi are a better solution. Now that they’re messing around on the cellular hands do they have an FCC cert or are they still illegal? 4G-IOT is missing US bands so it doesn’t matter for that board.